​A good goal is realistic and something that you can achieve each time you try. If you’re consistently failing at your goal, then change it. Timed Goals: Sitting at your desk and writing for a particular amount of minutes or hours. Amount-of-Words Goals: Sitting at your desk and writing until you reach a specific amount of words set forth. ​Is one goal better than the other? No. Each goal works, but for busy writers, a Timed Goal works best. This will allow you to fit hour(s) into your schedule without being bogged down by needing to hit a certain amount of words. So if you’re not on a time crunch, and you don’t have a deadline, then this goal seems to work well. But if you’re on a deadline, hoping to finish your book by a specific day, then the Amount-of-Words Goal works better. If you know how many more words you need to write, then you’re more likely to reach your end goal faster by writing a specific number of words per day. Tell me in the comments, what sort of goals do you set for yourself? Do you use a timer, or do you try to reach a certain number of words? 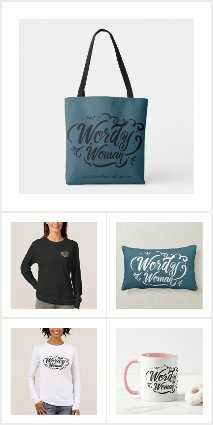 For my writing tips, purchase A Wordy Woman's Guide for Writing a Book on Amazon! Spread the love with other aspiring authors by sharing this post. Thank you!